Regular workman's compensation benefits are not taxable, either federally or locally. 1. Are Workers' Comp Indemnity Earnings Taxable? 2. Are Workers' Compensation Settlements Taxable? If you experience a slip-and-fall injury, muscle strain or a back problem while performing your job duties, you may qualify to receive compensation through your employer’s disability benefits. 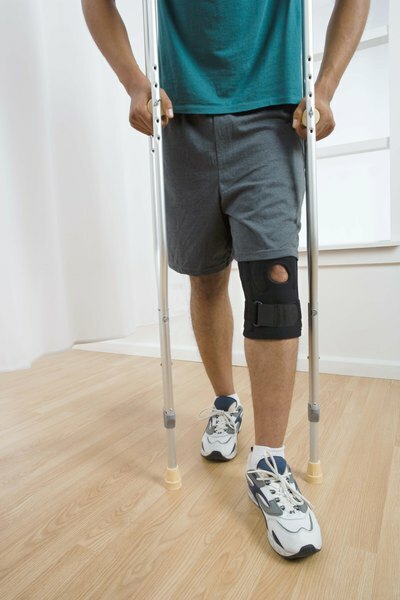 Beyond your physical hardship of healing from a job-related injury or illness, you would also suffer a financial hardship if you weren't covered by a specific type of your employer’s insurance – workman’s compensation (also known as workers’ compensation). This type of insurance provides cash benefits for a number of disability-related costs, including lost wages and medical expenses. But if you’re wondering whether workers’ compensation is considered taxable income, you can rest easy. In most cases, you won't have to pay taxes on it. According to the IRS, workman's comp is taxable only if the benefits you receive are not paid under a workers’ compensation act or a similar law. Workman's compensation is handled on a state-by-state basis, with varying guidelines in each state that address qualifying for and receiving these benefits. Generally, states require most public employers to purchase a workers’ compensation insurance policy, which pays benefits to employers as well as employees when an employee sustains an injury or illness that’s job-related. Workers’ compensation insurance policies also typically include death benefits for surviving family members in the event an employee experiences a job-related death. Although the total of the benefits you receive (or expenses that are paid on your behalf) may include distributions greater than your regular income, you typically do not have to pay taxes on these distributions. When is Workman's Comp Taxable? The exception to the tax-exempt rule falls into place if you also receive certain other benefits. For example, if you receive workers’ compensation benefits and any part of these benefits reduces your Social Security benefits, you may owe taxes on the part that reduces your Social Security income. The same principle applies to railroad retirement benefits. And even if you have to retire because of a job-related injury or illness, your retirement benefits are not tax-exempt. Refer to the Workers' Compensation section in IRS Publications 525 (Taxable and Nontaxable Income) and 554 (Tax Guide for Seniors) for more details. You can view and download both of these publications by visiting IRS.gov/forms and searching for each publication by its number. Because your workmen's compensation benefits are tax exempt, you will not have to report them as income on your tax return unless you meet the tax-exempt exception – the taxable workmen's comp portion that reduces your Social Security benefits. Report any taxable portion on your tax return. Beginning with the tax year 2018 (for returns filed in 2019), the IRS is debuting a new Form 1040 that combines the prior Forms 1040, 1040A and 1040EZ into one streamlined return. If you return to work after you’ve qualified for workmen's compensation benefits – even if you have reduced hours or lesser job responsibilities because of your injury or illness – your wages are taxable, and you will have to report them on your tax return. Although there are no changes in workmen’s compensation tax laws from tax years 2017 to 2018, there is a change in the IRS tax return forms you’ll use each year. Your 2017 tax return choices include Forms 1040 or 1040A for reporting any taxable workmen’s comp benefits. The new 1040 form isn’t available until the 2019 tax season (for 2018 tax return filings). You needn't choose between weekly payments, lump sums or medical payments, as all regular workman's compensation benefits are not taxable. Learn the legal difference between temporary and permanent disability to be sure you apply for and receive the proper designation for tax and future work reasons. Become knowledgeable about Social Security Disability programs to learn if you qualify. Although a federal program, workers' compensation benefits can be subject to differing state laws that can enhance or restrict payments. Don't neglect to plan for potential taxation, if your workman's comp benefits are considered retirement income. The Hartford: What is Workers' Compensation Insurance? Are 401(k) Contributions OASDI Taxable? Are Social Security Disability Benefits Taxable on Federal Taxes? Can Someone Collect Survivors Benefits From Their Grandparents? Are Life Insurance Proceeds Taxable in a Decedent's Estate? Does One Have to Be Employed to Open an IRA?